Support Rails-to-Trails Conservancy’s work to build, maintain, defend and connect trail corridors across the nation. That means even more trails for you to enjoy in your area! When you renew with a monthly gift, you'll receive exclusive benefits like our RTC flashlight lantern and our annual RTC calendar, in addition to your current member benefits. How would you like to renew? With your yearlong membership renewal, you'll continue to receive Rails to Trails magazine, reduced prices on rail-trail guidebooks and much, much more! 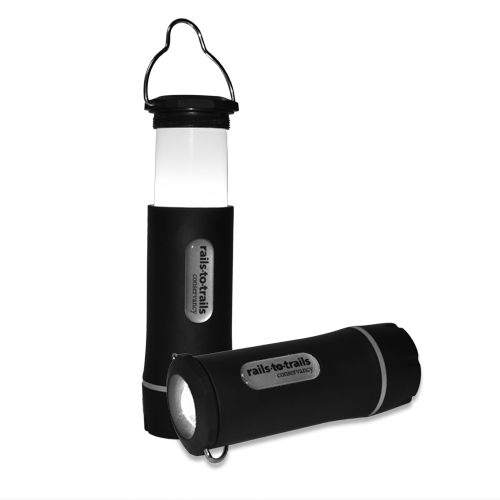 Give monthly and you'll also receive our handy RTC flashlight lantern! 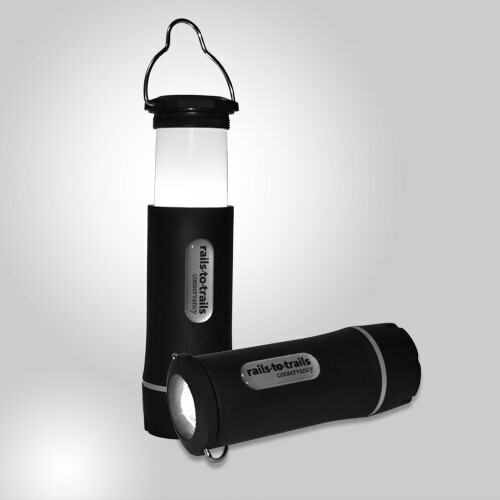 With your monthly gift, we'll send you a FREE RTC flashlight lantern! RTC Flashlight Lantern No Thanks! Select "No Thanks" if you would like more of your contribution to support trails. RTC Flashlight Lantern This handy combination flashlight/lantern will light your way on any trail adventure. Two levels of brightness, plus flashing strobe. Give monthly to receive your exclusive RTC water bottle.